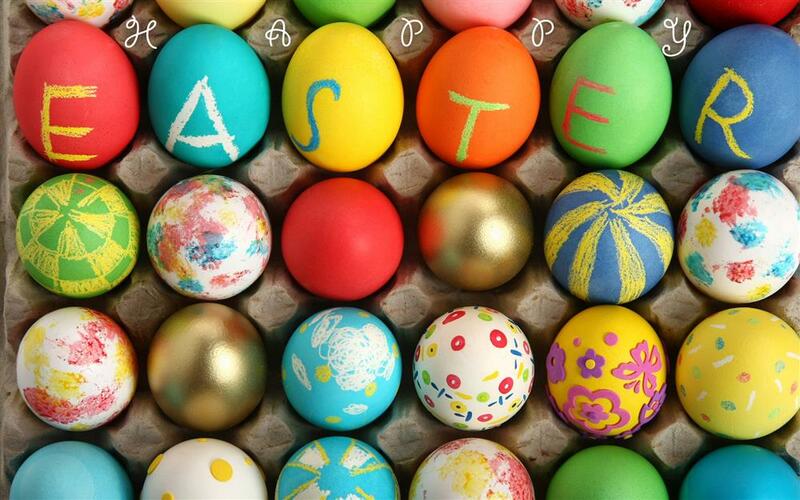 Everyone at Pulsar Print Management Limited hopes that all of customers and suppliers had a very happy Easter break and didn't overdo the chocolate consumption too much! Till next time, ta tah. If you have a look at the graph below you will see that the promotional products industry has now exceeded the 1 Billion GBP mark for the first time and inflation adjusted is back almost to pre financial crisis levels. The following graph gives you a breakdown of where this money is being spent. 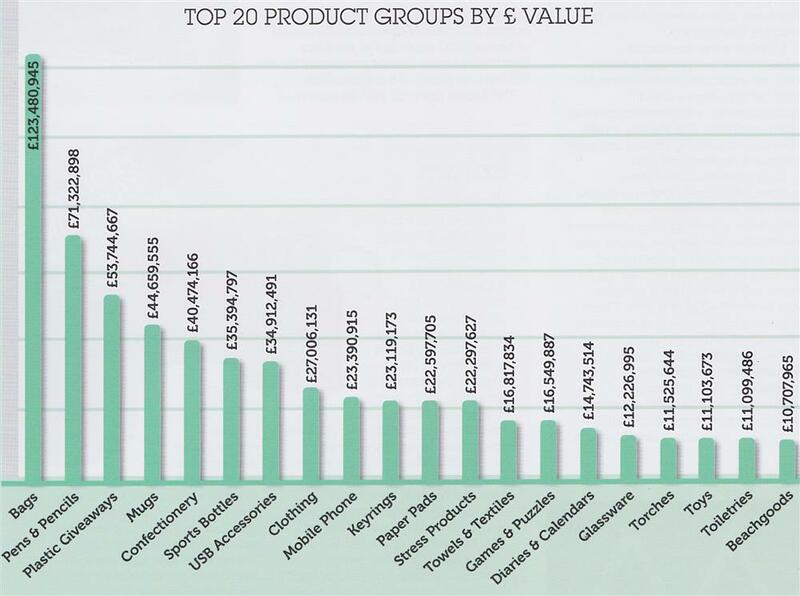 As you can see Bags bags the title for top product followed closely by pens and mugs as personaly I think the 'Plastic Giveaways' category is far too 'all encompassing'. Overall though quite an encouraging picture as it seems that businesses are once again investing in marketing materials and goods. Since that is the business we are in looks like a reason to smile for this year at least!! Just a quick blog as I'm away skiing at the moment. There are a couple people who have been branded the 'Bonnie and Clyde' of the printing industry as they have defrauded so many people out of so much money over the past few years. Their real names as far as we can establish are Neill Malcolm Stuart John and Clare Hunniset of Barry in South Walea. Mr John frequently uses a mixture of his full names when he contcts you. Their businesses also have various names including House Print, The Best Printer, The Book Printer, The Book and Catalogue Printer and UK Print. In every case they quote a very cheap price, take a payment in advance and then do not deliver either at all or typically half the quantity required many weeks after the deadline has passed. There are so many people who, wanting to self publish their work, have been left bitterly dissapointed and considerably out of pocket. Please dont let yourself be added to the ever growing list. It seems that listening to the weather forecast again this morning it is clear that this week won't be one for actually cycling outdoors yet again. The real problem with that is it means convincing myself to trudge away on my Turbo Trainer in the garage. Whilst I do have it set up so that I can listen to the radio while I'm spinning the pedals it doesn't stop it being interminably boring. Unfortunately due to my passion for drinking and eating if I don't do the cycling regularly I will very soon need to open both the garage doors to get in it!! Lots of my fellow cyclists use computer programs like Trainer Road or Zwift to try and spice up the process of standing still on a bike. I am going to investigate these things for myself and I will report back my findings soon. Well that was a week from hell wasn't it! Fortunately for me I work from home and didn't have the need to venture out at all. The biggest sacrifice personally was to miss and evening out with my friends from the Beckenham Rugby Cyclists club due to worries about getting home given the parlous state of Southern trains at the time. I quite like Elmers End but the thought of getting stranded there is sub zero temperatures didn't fill me with glee. From a business point of view though the week was a bit of a washout. It does seem to me that the estimate from the government that the attrocious weather cost us £1 Billion a day is probably quite accurate. Hopefully though what didn't get ordered last week will get ordered this week, and with my garage no longer a deep freeze I might even get back on my Turbo Trainer! Here we are getting towards the end of February so already almost two months into 2018 and as with most people around my age and above I'm wondering how on earth time passes so quickly. Totally contra to that is that with only 2 months gone of 2018 I'm struggling with thinking of anything to blog about!! This is so similiar to the reason I don't do anything like the BNI, you try and think of something interesting to say about printing or promo goods for 2 minutes every week and you'll see what I mean. Thats not even thinking about the ten minute presentation you need to do every so often. Having racked my brains and having read all of the trade magazines for interesting articles that I could summarise here I have decided to tell you about the disastrous Spanish Omelette I tried to cook last Tuesday. Following Jamie Olivers instructions to the letter I bought my 500 grams of a creamy potato, the variety called Charlotte was recomended and since thats the name of my eldest daughter I chose those. I did however use frozen onion as it is so much more convenient that peeling and chopping the fresh equivilent. I peeled and sliced the tatties, patted them dry and cooked them for the requisite time in a small frying pan as required. I whisked the 5 large eggs with a fork and added a touch of seasoning. Once the tatties and onions were cooked they were duly added to the whisked eggs and then returned to the frying pan for a further 20 minutes. Everything at this stage was looking just dandy, however the next instruction was to gently release the omellete from the sides of the frying pan using a fish slice. This I did and even at this stage things were still looking pretty good. It was the next phase that spelt disaster, placing a dinner plate over the frying pan and flipping it over all seemed very reasonable but it was only having done so that I remembered why we never used that frying pan. The Teflon coating has long since been replaced with something resembling super glue and once upturned I was left with a pan with a thin coating of egg, onion and potato instead of the Teflon / Super Glue and some not quite cooked scrambled egg, potato and onion mix on the plate. My wife chipped in rather hopefully with a 'never mind I expect it will still taste good' alas not even that would prove to be the truth. I was able to remove the handle from the frying pan and consign the whole sorry episode to the bin, I think I will try again once I have purchased the proper tool for the job. If I can find a ready made one though I suspect I might settle for that. All in all it still beats worrying about GDPR or getting on my Turbo Trainer in the garage! I'm pleased to report that I have not suffered from any more cilinary disasters this week mainly because I haven't tried anything new and have only stuck to tried and tested recipes. Something that I am also guilty of as far as business goes. It is so tempting to just stay in your comfort zone in most everything we do. This week I took the really bold step of changing our advertising on Yell.com go me eh! Time will tell if this has been a worthwhile investment but at least it means that we have changed something. I'm a firm believer that businesses either expand or contract, they very rarely stand still. We have enjoyed a period of relative calm and stability for the last few years and so it is high time we made moves to expand the business hence increasing the advertising budget for this year. I will let you know how it's going in later blogs. Wish us luck. P.S. Well done Team GB. So back to the GDPR subject again. I went to a trade show last Wednesday at Silverstone which was one of the reasons for attending as I had never been to Silverstone before and being a F1 fan it was great to be in the Wing building for teh first time. The other and I must say main reason for going was a talk being given by two people from DAMM Solutions Ltd aboiut GDPR and how it affects our industry in particular. As I had hoped this proved to be a very interesting 45 minutes which has prompted so more action on our part over and above what we have already done. We have started an 'Action Log' where we list what we have done in detail and the date etc it was done on. We have used firms in teh past for sending promotional emails and I have made sure that any contacts databases that we supplied to them have now been deleted to keep the amount of data we are controllers for to a minimum. My partner is in teh process of removing the details of clients that no longer exist from our management information system (MIS). This year we will be rolling out a new service for our customers and hopefully it will attract plenty of new ones too. We now have a system where we can supply each customer with a website dedicated to their own company that has an ever increasing range of promotional products. Each product is displayed with their own logo on already but you have the facility to change that if you have a different version of your logo that you want on that particular item. If applicable each product can be further customised with text or an additional logo in some cases. Once you are happy with the on screen proof you can order the products with their displayed prices. You receive an email confirmation and a delivery date. This facility takes out all the hassle of obtaining quotes and waiting for proofs to arrive etc making ordering your promotional items quick and painlessallowing you to concentrate on your own business. We hope very much that you enjoy using the new service. If you would like to be top of the list to receive your dedicated website please email me at roger@pulsarpm.co.uk and I will sort it out straight away otherwise I will send you an email once your own site is ready. Looking forward to a very good 2018 and wish all of our current customers and new ones the same. Normal service has now been resumed after an truly awful few days sufferning from what I can only imagine was this Australian flu that seems to be paralyzing Great Britain at the moment. I knew something was up on New Years eve and it has left me almost inacple of doing anything for the last 10 days at least. Being basically healthy I resisted going to the doctor but it has certainly taken time to beat it naturally. I can't imagine what effect it is having on people who are not healthy to start with. It's certainly not how I expected to start 2018. Can you believe it's over 20 years ago that Leonardo DiCaprio and Kate Winslet captivated us with their portrayals of Jack and Rose! Being well and truly on the mend now I am looking forward to 2018, and I'm using the phrase 'looking forward' in both of the contexts that it has. 2017 has been a pretty good year for Pulsar Print Management and it means that we can approach 2018 with the tools and budgets to capitalise on all of our strengths. Notably we will be promoting a new service via our PromoPigeon alter ego. I will tell you much more about next week. Watch this space.